In my last blog, I commented upon the fact that it seems as if the decision to remove tattoos is a more popular one these days than getting a tattoo. At least, this seems to be the consensus among many people that I know who have tattoos. In many cases, I see nothing wrong with these often colourful works of art. Well, some of them. But, no matter what, they seem to just get in the way of everyday life. One of my friends remarked about the stereotypes that he feels he faces because of his tattoos. Yes, my friend loves his music. And it’s true, he plays the guitar. But this chartered accountant is one of the most brilliant minds I know. However, you may not necessarily get that impression if you see him in a sleeveless shirt. Getting and keeping a job. So, there we have it. Yet, another reason to get Laser Tattoo Removal. In many cases, job opportunities are lost based on first impressions. It’s unfortunate, but true. You don’t even have to go through with the interview process. Depending on the type of tattoo you have, and its placement, some people will just not wish to work with you. Pleasing Mom and Dad. Hey, this may seem like a corny reason, but it’s an important one nonetheless. One of my friends – who is tattooless, by the way – told me that, years ago, his mother offered him money to cut his long hair. He refused. All these years later, my now-clean cut friend is happy that he has shorter locks. Cleaning up a mess. Let’s be honest. Not all tattoo artists are wizards with the needle. Some tattoos are plain ugly. They were either not done properly or not done by someone who knows how to properly do them. 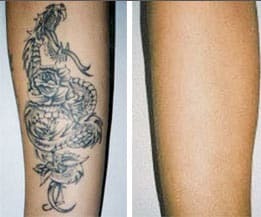 In some cases, removing tattoos is simply about erasing something that is just unsightly. 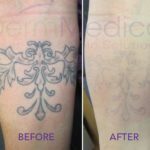 No matter what your reason may be, it’s important to get the facts about Laser Tattoo Removal. 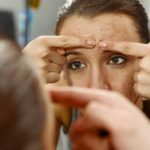 Contact a licensed physician or skin care specialist to learn more. Thankfully, tattoos aren’t mistakes that cannot be erased. In fact, they are easier to get rid of than you think. Look into it today!